In this thirty-day Bible study, we'll learn how to use topical Bible study methods while we also discover what God says about the typical challenges we face day after day with our children, including disobedience, bickering, unkind speech, and whining. Choose from our special lay-open paperback, downloadable PDF, or Kindle eBook from Amazon. Or get the book along with our Busy Mamas Bible Study Kit. I love Doorposts, and this is another great resource for biblical help with children (and for mamas). It is not set up for reading like a traditional book, it is more in line with Doorposts other bible studies; namely, bullet-point outline style. It's a short but intense read. A sincere bible study, it directs you to outside sources (online and otherwise), so that you can understand the bible verses you read and apply them in truth. It's a really great book. A slim volume with lots of biblical wisdom. Thanks, Pam, for publishing this study! I received a free review copy of this book. All opinions expressed in this review are my own. I have done a couple of these Bible Studies for Busy Mamas when they have been offered online, and I really enjoyed them. I was impressed that a detailed Bible study was divided up into daily bite-sized pieces that I could fit into my busy day. I am a homeschooling mom of 4, including two toddlers, so my house is always noisy. I have a hard time doing anything that requires concentration for any length of time when they are awake. I like that these are written for people just like me. I was excited to receive this book, because though I had started following along with the online study over the summer, I got behind and didn’t finish. Having the study in a print format means I can do it at my own pace. All you need to do these studies is your Bible or Bible app, a notebook or journal, and a smartphone, tablet, or computer to access the free online study tools. Colored pencils are optional if you want to color-code. This is a 31-day Bible study that can be done at whatever pace you like. You can do one lesson a day, or you can dig deeper and spend several days per lesson. I love that you can customize it for what you can do in this season of your life. The daily lessons are designed to take between 15-20 minutes, so you can fit them into small spaces of time in your busy schedule. I think this is a great way to begin a daily Bible study habit. This is a Bible study that teaches you HOW to study the Bible for yourself. You will learn how to find and use online Bible Study resources such as lexicons, concordances, Bible dictionaries, Bible encyclopedias, commentaries, parallel translations, etc. I love that you’re not asked to just read a passage and interpret it for yourself without digging into the original meaning. 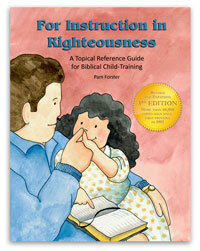 This study book can be a great resource for parents who want to learn how to teach their children to do what is right. As a momma of eight, I long to have children that love the Lord with their whole heart and obey Him out of love. Often, it is hard to know exactly how to raise the children. Bookstore shelves are packed full of parenting books, all claiming to be "the one way" of raising children. Most parenting books are full of one person's idea of the best way to raise children. I have read so many parenting books, only to reach the end of the book feeling more confused then when I started. Pam Forster's "Child Training Boot Camp" is different than other child training books. It brings clarity to so many challenging situations by taking you straight to the ONLY book that has all of the answers. You will be directed to search God's Word for yourself, going back to the basics of Bible study ~ word studies, cross references, definitions and more! Whether you only have 5 minutes or an hour "Child Training Boot Camp" is the perfect study for you! This Bible study is great on your own, with your husband, or in a Bible study group/Sunday School. There are even activities to do with your children learn along with you! I loved this study! I really like the fact that even though I am a busy mama to four under 8, the lessons are short enough that I am able to usually get one lesson done each day. I love studying the Bible and I really appreciate that Pam includes word studies, commentary work and cross references and even though the lessons are short, they are very thorough. It's amazing to see God's plan for us and our children. He always knows best and His word is our ultimate guidebook. Pam does a wonderful job of pointing us in the right direction, but not just giving the answers. Even though my children are young, I am sure they have still learned much from their part of the study. :) This is a study that I plan to do again with my children. * I did receive a complimentary copy of this Bible study in exchange for this review, but the views expressed are my own. I love how Pam Forster doesn't give you the "answers" to the Bible study, but assists you as you dig into the Word to find the answers He has for us on how to raise or kids. This book has truely been a blessing! They say kids don't come with instructions. This book does a great job disproving that very idea. The book alone is not the instruction manual but it clearly shows how to use what is! Through a sequential approach of looking at the very heart of raising a child this devotional book is practical and helpful. Pam walks the reader step by step how to use Blue Letter Bible tools and scripture to explore parenting topics. The book does give exact instructions for using a computer, It is guided for other devices but may take some exploring on your part to use it on a phone or tablet. She includes object lessons that can be used with your children to help them see the truth in God's word as well. This book could be used as a family devotional or just for a parent resource. It would work well for a seasoned Christian or a new Believer. You could move through the material in 30 days or spend more time on one area and move to the next topic when ready. 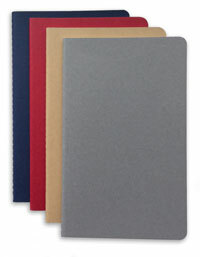 The book is laid out with step by step instructions that allow for quick or longer study. Great for busy times or longer quiet times. Raising children is tough. Raising arrows for the Kingdom requires help from God. His word is the perfect place to draw from for instruction. I received a free copy of this book to review but all opinions of the book are my own. I was struggling with how to train up my children according to the biblical principles that I believe in. I do not have that kind of upbringing to look to for answers. I have really enjoyed the portion of this study that I've completed. It has helped me to answer why my children & I should do the things the bible says we should do. I am also very excited to know how to do word studies. The blue letter bible site is a new favorite for my study time. It is so helpful to see what the words mean & how they are used throughout the bible. The short study sessions are also very manageable with my four children. The inclusion of the children everyday is also very helpful in making the learning stick. I'm hopeful that my children & I will continue to put the principles we have learned in to practice. I know we will continue to use the study skills in future bible times. I just finished this Bible study and was very blessed by it. I was rather daunted at the beginning when asked to use an online Bible to do the word studies. It was an unfamiliar process to me, but the author so gently and correctly guides you through that it became one of the parts I enjoyed the most. The in depth word studies give you a much deeper understanding of the meaning and intent behind the words used in the Bible verses you are studying. The study itself points you toward action with your children by showing you that it is important, first and foremost, to lead by example as Jesus did for us through being obedient to His Father. I found the extra activities and hands on lessons for your children to be a wonderful way to include them in what you are learning so that they can come to an understanding of some of the changes that may you may begin to implement within your household. This is not a book of rules or "how to's" for behavioral issues, rather, it's a wonderful study on the true Biblical meaning of obedience and how to work on the inward matters of the heart to lead your children to want to obey. As the author states, "...the training of our children begins with our own humble response to the Holy Spirit's work in our lives. We are discipling-disciple-ing, not just disciplining-our children. A disciple imitates his teacher..."
I highly recommend this study and find it to be a worthwhile venture of what, as a parent, is your valuable, busy time. I received a free copy of this book to review. All opinions expressed in this review are my own. I highly recommend this study and all Doorposts Bible studies (this is at least the 3rd one I've used). What I like about the Child Training Boot Camp and all of their studies is: they are centered on Jesus Christ, they are true Bible studies (not commentaries or opinions with the Bible mixed in), they guide you to study the meaning of the scripture and apply it to your own life. Each daily lesson can be finished in about 15 minutes, sometimes almost 30 minutes if you get really involved in word study, but you can always work at your own pace. Each lesson has a short study to do with your children; these sections are fun and help the kids understand the meaning of Scripture. This particular study is excellent. I was a little turned off by the title. My husband is in the military and boot camp doesn't bring up positive mental images. :) Perhaps they chose the name because the study really covers so much about parenting (hearing and obeying, disobedience, speech, the heart, whining, quarreling, forgiveness and more) and it guides you to dig into the Bible. It has the power to transform your parenting if you approach it prayerfully and with an open heart. Be aware that you will need access to the internet. Each study uses the Blue Letter Bible website or app. This book has been extremely helpful with my 2 kids. It has shone me how to train my children based on the Bible. I was part of a review team and was provided the book to read and provide my opinion. I joined the facebook group because I am a Christian woman looking for ways to better parent my 4 year old son and to introduce him to the bible more in depth. Initially, because I hadn't done any of the bible studies Pam leads before, I was confused about the process. It took me a while to get organized with how I was going to do the study (phone or computer) and how to take notes and what version of the Bible to use. The instructions are clear, you will need to allow yourself some time to play around with the app and website. I have a hard time reading online, so I used the app to search for verses to read and my paperback Bible to read them and a journal to take notes in. So I had a lot of back and forth. I think that goes with any Bible study though. I preferred to be on the computer to do it, but that doesn't work well in my house with my schedule to be at the computer for any given amount of time. I was able to complete the study with my phone though. The activities at the end of each lesson that you can do with your children are good. My son is 4 and not really old enough to do the activities as described. However, the topics were good to start to discuss with him and we use those as we read through his Action Bible. The lessons are detailed and only a couple pages long. The bolded text will help you to pick out the instructions easily and quickly. THe questions require you to reflect and be honest. And for a nonreflecting person, that can be uncomfortable. You can fake your way through it, but you won't get any behaviour / thought changes that will help you. Just like your teachers told you, you get out of it what you put into it! It is a book for a 30 day bible study for busy mamas - I am busy and it took me longer than 30 days to get through it. However, I think that if I prioritized my time better and was less on social media and taking care of low priority check list items then I would have not had a problem with scheduling and completing in 30 days. The cost is low and if you do the presale order (expires 3/31) there are bonus materials. In summary, I think this is a well designed book that will walk you through learning and reflecting on the Bible and what God tells us and how we can apply it to our life in real time. Most importantly, it is not overwhelming. Which is great because I think that is a common obstacle to folks doing Bible studies. This book is a tremendous resource for parents! More than just another self-help book, Pam Forster doesn't just tell you what the Bible says about raising children she invites you to dive into the Word and learn for yourself as she teaches you the lifelong skill of how to be a student of the Word. The chapters are short, but by no means shallow; with additional activities to do with your children to help reinforce what you are learning. I highly recommend it, no matter how long you've been parenting! Doorpost studies give you the tools to dive into the study daily. The child training boot camp has daily lessons that are short enough that even the busiest mom can complete. I had not heard of the blue letter bible before this study, but it gives great directions on how to use it and I love it. It gets you into the bible study and teaches you how to dig into Gods word for answers. It even has a section to do with your children. I have done this study twice and have come away with more each time. It really gets you to think and thirst for more of what God has to say. I would highly recommend this book. I completed part of this study when it was originally offered online only. I am so thankful this resource is now available in print and in eBook format. This is a thorough, heart-changing study that will help you dig into what God's Word has to say about raising and training our children. I received the printed book free in order to review it, but all opinions are my own. It is just a coincidence that my reviewer name is BusyMama and this Bible study is part of the Bible Study for Busy Mamas collection by Doorposts & Pam Forster. I am not part of the staff nor employed by them in any way - just a repeat customer of their study materials! Even as I work through this study again for the second time, I am learning and growing in my parenting and knowing what the Bible has to truly say about discipline and training our children. I especially love the additional activities to involve my children in the study as I work though it. The lessons are short and do-able despite my day being very full, homeschooling and having 4 children 11 and younger home all day. I appreciate the effort put into teaching me thorough, yet concise methods to really dig into studying while breaking it into small bits of time through the week. I highly recommend this study and encourage you to look at the other studies offered by Doorposts/Busy Mama Series. I have been looking for a guidance to implement Deuteromony 6:7 since long. About what to talk while I sit, walk, lie down, and rise up with my children. Off course about God's word but in many instances I just simply failed. I had no idea how to start with although I used to be a sunday school teacher in the past. Then I received an offer to receive the book and finally experienced the complete journey of applyng this verse. The key point is with me as the parents, as simple as that, to lay up God's word in my heart, inner man, my will and my understanding. The book also offers step by step advice as well as the activities to be done with my children. It really enrich me a lot. As a mother of six young children, I am always on the lookout for tips, books, sermons, whatever I can find to help me navigate the world of motherhood in a way that will help me impact my children, both now and in the future. When I was giving the opportunity to review this product as part of the launch, I jumped on it. I have follow Doorpost's online studies a few times and have found them very informative and encouraging and this one has been every bit as helpful! I love that each lesson has things to do with your children, whether it is a reading or an activity. My children's favorite so far was the "Yes, Mommy" game. I tell them to do something like "take 3 giant steps" and they have to say "yes, Mommy!" before moving. It works a bit like Simon says and it has helped them see obedience in a real, but also a fun way. I would say that the only drawback with the children's activities is that they seem more geared towards the littler ones. But the readings would definitely work for older ones as well as the young ones. I would highly recommend this to any mother, struggling or not. It will encourage you no matter what age or experience level you are at. I think you will be blessed! "I received a free copy of this book. All opinions expressed in this review are my own. " I love to study God's Word. When I saw this title, I asked myself why would people want to do this study? I would want to do this study to help me train my children or grandchildren better. I loved the introduction in this book and all the topics Pam Forster covers. As I said in a previous review I am talking from the heart here and this study was like a long cool clean drink of water. I will tell you ,as it helped me dig into God's word, that it changed me. Pam has raised six children and homeschooled them and it shows. I love how this study encourages the parents as well as the children. I really love that she has activities for the children and the families. I also felt that her explanations for how to use the "Blue Letter Bible" on line were excellent. I accepted Christ as my Savior in 1975. I have taught Sunday School, Youth Group, Vacation Bible School, and homeschooled my own children. This Bible Study can be done in a few minutes a day ,ex. 20 mins, but you find once you are studying you want more. Pam Forster also put ideas at the end of the book for your next studies. I would Highly recommend this study in God's Word. A Study That Will Be Needed Again and Again! I want to rate this bible study with 4 stars but for some reason my phone isn't cooperating. This bible study is so very practical and helpful. I've gone through it once and look forward to going through it again, this time including my children in the children's lessons. It consistently guides you to biblical discipline and getting past the behavior, to the heart of your child. I would recommend it to anyone who has kids of any age! I am only part way through this book and I love it! Pam shares her heart and gives advice straight out of God's word. She doesn't give her views but God's commands. Each day has an activity to do with the kids and it's so practical. I have not done this part with my kids yet but am looking forward to starting soon. Each day is easy to complete in a short time if needed but there is so much meat pulled straight out of God's Word. This is a great study for busy moms. If you are struggling with any part of child rearing this book will help you and if you arn't struggling read it anyway because your time is coming:) I do not believe you will be disappointed with this Bible study. I received a free copy of this book. All opinions expressed in this review are my own. The Child Training Bootcamp study has been great! It's deep and deeply rooted in the Word. I really enjoyed digging deeper in each verse and (even specific words). We had so much fun doing the activities too! What truly wonderful ideas Pam gives us to implement in our home with our family. This is one of those studies I'll be re-reading. So good! I loved this Bible study by Pam Forster. It is designed for busy moms and can be done in as much time as you have, with the option if digging deeper if you wish. She teaches you how to study the Bible for yourself and shows you different tools you can incorporate. This particular study is designed to help with training your children. While it isn't necessarily a how to book, it does give great ideas for helping you get beyond just the behavior issues and to the heart of your kids. I highly recommend this study. I received a copy of this book from the Publisher in exchange for my honest review which I have given. “Child Training Boot Camp: A Thirty Day Bible Study” has been such a blessing. The focus of this study is training children with scripture as your guide. I love how this study is laid out, so simple to follow. Pam does a great job of guiding towards digging deeper, but in a very manageable way for busy moms. The activities for the kids are very engaging, and we have been enjoying them. *I received a free copy for this review, but opinions are my own. I have done several of her Bible studies and this one is no different than any others. I appreciate her attention to detail yet is able to keep the lessons short for those of us with busy lives and just don't always have hours to devote to in-depth study. Yet even in her short lessons, you find your self digging deeper and deeper into the Word. I also love the addition of including your children in learing along with you. This study is timely and perfect as I am in the midst of raising two young men. Helping me realize that my training of them will also train me in obeying the Lord. Thanks again, Pam. Have you ever desired to have a focused study on what the Bible says about child training, but didn't know where to start? This little book might just be the thing to get you into the Word and guide your readings. I had done other Doorpost studies in the past and figured it would follow a similar format, which it did. There are short lessons that get you into the Word right off the bat. It is all Scripture based, which I love. There isn't any of the "my personal opinion is that I think God is saying" stuff that some books are prone to have. With this, you seeking out the Scriptures and read them for yourself so you can see what the Lord says. You WILL need access to the internet to complete the lessons, since there is quite a bit of looking things up. If you do not have internet access, you might be able to still use a Strong's reference book and some other resources, but it would be difficult. The way Pam has everything laid out and explained makes it SO easy to use. She says what website to use, which exact words to look up, and explains where to find the different things on the web pages. The questions themselves are not hard (though the application might be more challenging! ), but they do force you to seek and find what Scripture has to say. There are also optional short activities so your children can participate and study alongside you. This book would be a great starting point for someone who is overwhelmed and doesn't know where to begin, but also for someone who needs a refresher/reminder on child training! It really is easy and practical. I did receive a copy of the book in exchange for my honest review, and I do highly recommend this study. WOW! What a wonderful and effective resource this book is! I have completed the boot camp twice, once as the e-mail study last year and now as the book is in print. I am so amazed at what a difference it has made in my home. If you are looking for a step by step discipline guide, this is NOT it. (ex. For sibling disagreements, administer time out, eight minutes in length.) What this book does is teach you the root of behaviors and how to biblically train your children's hearts to resist these bad habits. Not only for children, It addresses concerns in parents hearts and teaches us to look at ourselves as well. After the 2 days spent on the word obey, I was in tears realizing how selfish and disobedient I am. More so than my children at times. And the entire book reminded me that sometimes my children are just mimicking the behaviors they see in me. (AUGH! So convicting and so good!) I can not recommend this book enough. It is now my standard baby gift because I think all parents need this in their library. I have received a free copy of the book, but the opinions expressed are my own. I was first introduced to Doorposts at a conference where I went to a Bible Study for Busy Mama’s class. I was so encouraged and challenged by Pam to find even 5 minutes to read God’s word daily. I love these bible studies because I can start a lesson even if I only have a few minutes. I picked up Child Training Boot Camp thinking I could get some tips for helping my children. I got that, plus Pam helped me use God’s word to evaluate my heart and motives at the same time. I love that the bible study is broken up into topics because it also allows me to see where we are going with the lessons and what things are coming up. The only difficult thing for me has been the strong use of the Blue Letter Bible App and website. I love all of the information, but some days I have to be extra self-controlled not to check email or facebook before getting my bible study done. If you are a BUSY mom and you take even just 5 minutes a day to work on these lessons for a month, you’ll gain wisdom and understanding, plus you will also get the encouragement you need from Pam. Disclaimer : I did receive a free copy of the Bible study for review. I have done a couple other of Pam Forster's Bible studies and really enjoyed them. When the opportunity arose to review the Child Training Boot Camp Bible study, I was excited to see if it was as good as the others. It definitely didn't disappoint. What I enjoy about this and her other studies, is that even though it says it's a 30 day Bible study - there is no pressure to get it all done in thirty days! Some days were more intense than others, so I felt that it was better spread out over a couple days rather than just trying to rush it through one. I expected to learn how to better train my children, but I really feel as if God led ME on an adventure in parenting and I became a better mom. I walked away from each lesson feeling refreshed and ready to tackle the day! I would recommend this study to any mom! I absolutely LOVE these Bible studies and this one did not disappoint! Pam breaks down essential parenting help directly from the Bible! You aren't learning what someone else thinks you should do, you are gleaning straight from the Word of God!! Fully recommend!!! I thoroughly enjoyed the Child Training Boot Camp Bible Study from Pam Forster. The think I found to be most helpful in this study is that the first focus is on our hearts and actions as mothers and then on to our children. It was very convicting and eye opening to see that a lot of the issues I deal with in my children can be found in my own life. As mothers, our children model so much after us that we have to be constantly before the Lord and asking Him to search our hearts and change us before we can expect any change in our children. I am thankful that Pam obeyed the Lord and shared with all of us the wisdom she learned while in the "fires" of motherhood. *Disclaimer - I received a free review copy of this book. All opinions expressed in this review are my own. To be honest, when I originally did the Child Training Boot Camp Bible Study I went into it simply expecting to learn how to elicit biblical obedience from my child. Just a lesson or two into it I realized that while that was certainly a part of it, I was going to get a whole lot more out of it personally than I could have imagined! This was the first of Pam Forster's bible studies that I had ever done, and it made such an impact on me I have gone on to do two more so far. She presents the material in a clear line upon line, precept upon precept style that makes her studies very easy to follow without sacrificing depth. Throughout the study she guides you in how to use online resources to supplement your study for yourself. I was actually concerned about that part the first time I tried it because I know how easy it is to get distracted when the technology comes out, but I quickly realized that once I started digging in and making the connections and just breathing in the Word the hard part was stopping! In addition, there is a corresponding lesson presented each day to share with your children. This is such a great feature! Not only does it further solidify what you are learning in your own heart, but it pulls you into the Word with your children, which is so very important for them and for us. I am so grateful for the time and effort that have obviously gone into Forster's Child Training Boot Camp: A Thirty-Day Bible Study, it's truly a product that has blessed my life. While I did receive a free review copy of this book, all opinions expressed in this review are my own. I recommended this study many times to friends and family long before I received a review copy! I was given a paper copy of this Bible study to write my review, however I had done the "live" Busy Mama's Bible Study in the summer of 2015. Pam is excellent at making short Bible study assignments that dig deep. I had mistakenly thought this Bible study would help me with practical strategies for my children like other biblical child training books. This study does so much more. Pam directs us to how we are called to parent our children from Scriptural mandates, then shows how requirements of our children for obedience also apply to us--ouch! This is where it got deeper into the heart of parenting. By just using topical Scripture studies I was cut to the marrow and saw my own sinful disobedience to God and how He directs our hearts and to use His example to direct the hearts of my children. This study is so much more than a Child Training Boot Camp, it is a boot camp in obedience to God! While I did not always have time to do the portions of each study Pam has designed to be done with children, each assignment is carefully crafted to encourage our children in obedience and a love of Scripture. She uses many methods of making Scripture come alive for our children, from instructions to draw images that we read, to standing or jumping or raising hands when hearing certain key words, to acting out many stories as we read to them. The children assignments are appropriate for multiple ages and easily adaptable. Disclaimer* I received a free review copy of this book. All opinions expressed on this review are my own. I am excited to be given the opportunity to review this bible study. I like how it gets you to indulge in God's Holy word everyday, but not fond of using the bible app with the book. I may try starting over and use my own personal bible for this bible study. I will recommend it to many parents!!!! I went through Pam's Child Training Bible study last year and much of the teaching has stuck with me. I absolutely love how she gets us to dig into God's word, study words and phrases and listen to the prompting...and convictions...of the Holy Spirit. I appreciate her wisdom and insight. 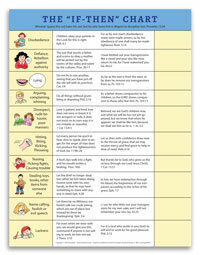 This is one of my favourite parenting resources and one I will use again. To read a bit more of a review, go to my site: http://bit.ly/1nSMrlG There is also a draw for a copy of this fantastic resource! Disclaimer: I received this book free but all opinions expressed are my own. Child Training Boot Camp was the first Busy Mama Bible study l have ever done or ever even heard of...and I am so blessed to have stumbled across it. I did this study over the summer and it was the most in depth eye opening study I have ever done. Pam doesn't just show you what to look at or what verses to look up, she guides you to dig into the word (deeper than I've ever dug), use available resources to look up key words and understand them more in depth, and most importantly she helps you to dig into your heart. This study is not just about changing the heart of your child in areas that may need cleaned up or areas in your home that may need a better handle on, it changes the heart of the parent too, which is essential in parenting! This was a convicting study, which was much needed in my life, and the best study I've done. I have now completed Pam's Romans 8 study (phenomenal!) and am almost finished with the 1 Corinthians 13 study (so recommend this one too!). All three studies are the most eye opening studies I've ever done. Love and highly recommend this study and all the Busy Mama studies! I really enjoyed this study. It is the most hurried time of the year in July when I originally did this study. I was amazed how well I kept up and how much I learned. It gave me direction and understanding of my role in parenting by using God's word. It was not a do this or that, but looking, praying, and letting God's word guide me as a mother. I love this study and was very happy to receive a free copy so I can go though it AGAIN! Yes it was that good that I feel I could still learn more doing it again! It is saturated in the word of God and you can never get too much of that! This study incorporates using tools from the Blue Letter Bible and gives clear instructions to be able to use and understand. Every day you are in the word and growing. I love these studies and recommend them to anyone. I have done four or five of Pam Forster's 30-day Bible studies, but this one on child training was my favorite. I loved the way this study had you focus first on your own sanctification before you attempt to train your children. I really enjoy the way Pam does word studies and how she uses online tools to enhance the Bible study. This is a study I am sure I will be going back to for review and refresher over the next several years. Disclosure: I received a free copy of this book for review, but the opinions expressed in this review are my own. 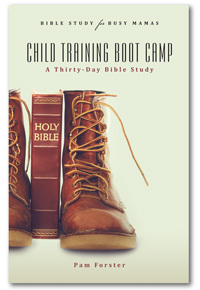 “Child Training Boot Camp: A thirty day Bible Study” is an outstanding Bible Study. I am so thankful it is in print now! I love how the study really lets you dig deeper into the Bible and what specific verses you are looking at. Pam Forster is an excellent writing and outlines the days in manageable snippets. You can spend as much time as you want continuing in the study. She empowers you to take responsibility for your own Bible Study but as a busy mom she also knows firsthand how some days it is just a struggle to get 5 minutes in! I really enjoyed the activities to involve my children as well. They really like acting out the Bible lesson she has and many of the other activities she suggests. I think it helps cement some of the concepts into their minds much better than listening to me drag on and on about what I just read! Overall, this is an exceptional Bible Study that a busy mom can really get through and not feel bogged down. Pam has many great insights and she always puts you at ease that God wants us in His Word, no matter what. Even the days I struggled to get a few minutes in and didn’t get through a whole “Day” of the study, I never felt like I was a horrible mom for not doing it. I knew I could just start back where I was the next day and I wasn’t really “behind”. I do have to say though that it was convicting to realize that we do have to be consistent in our discipline and our own Bible study to show our children that we love God and want to Obey Him just like we are teaching them about. Memorizing together with the children has been a great benefit as well. I also downloaded the book onto my Kindle but I do love print books and know that I will keep this on my bookshelf for years as a quick reference to study again with my children! I love Doorpost Ministry! They offer so many helpful tools for parents who desire to raise their kids to love Jesus. I received a free review copy of Child Training Boot Camp. All opinions are strictly my own! I have not finished this study yet but have done several days so far and cannot wait to complete it! I have been involved in several of their email Bible studies and LOVE to be able to have them in print form! Each day has step by step instructions to help you take advantage of free tools to get the most out of your study time. You do need to have a computer (or some sort of device) in order to do this study. The tools that Pam teaches you to use through this study are helpful even when you decide to branch out and study some portion of Scripture on your own! There is also a section every day that you can use (if you desire) with your kids. I love that Pam Forster provides ways to interact with our kids on their level and show them that the Bible is applicable to them! I recommend this study (and honestly any of the 30 Day studies) to anyone who wants to really learn how to study Scripture and who wants to see that the Bible truly is God's living Word that can provide help and encouragement every single day. Mrs. Forster brings us directly to Scripture as the basis for our learning. Her study questions really help to evaluate what we have learned from Scripture, and help us to apply it to our day-to-day lives. I highly recommend this book! This Bible study doesn't just go off of the author's own opinion or her own study of the Bible. Instead, she shows YOU how to study the Bible yourself to see what it says. In fact, using the same method prescribed in this book can help you study a wide range of Biblical topics. In every chapter there is a section to get your children involved. I especially enjoyed this part as it wasn't just a one-sided Bible study involving the parent, but rather a study that both the parent AND child could participate. I really enjoyed this book and I have been thoroughly satisfied with everything I have purchased or received from Doorposts. "I received a free review copy of this book. All opinions expressed in this review are my own." I did this study a year ago from the blog and am excited to soon go through it once again this summer. It is an excellent topical study on parenting. Pam Forster is so diligent in taking all from the Scripture and being careful not to insert her own opinions beyond that directly influenced by the Word. I also really enjoy using the Blue Letter Bible App along with the study. I love how she teaches you to study the Bible step by step and challenges you to search and think on your own as with all her studies. You are able to go as quickly or as slowly as needed by following the basic lesson or going further with the study tools on your own time. I look forward to studying with my children as they get older to incorporate the sections for child study. I love this Bible Study for Busy Moms study. This is for sure a recommendation for all parents for their book shelves. This summer, I was at the beach when I noticed that one of my favorite blogs had a new Bible study on parenting beginning. I felt like I could really use some new tricks and tips to help my children obey, so I signed up for the emails for the new Bible study. I found it to be so transformative in my life that I wanted to spend a little time with you today sharing how much the Child Training Boot Camp: A Thirty-Day Bible Study changed me. Pam Forster wrote this Bible study as a true Titus 2 woman, passing on what she learned during her time studying the Bible and parenting to those of us who are in the thick of parenting issues. As such, she uses this 30 day Bible study to address topics such as disobedience, bickering, unkind speech and whining. Each daily lesson takes as little as 10-15 minutes to complete. However, I will honestly admit that occasionally I got so wrapped up in my reading and thinking that I might spend as much as 30 minutes on a lesson, making it a great part of my quiet time each day. Each lesson also includes an activity or lesson that you can do with your children. I love that about Forster’s Bible studies! It is so wonderful to have an avenue to share what you’re learning with your children so that you all grow together as a family in God’s word. The children’s lessons are quick and easy as well, but are designed to often be hands-on and include occasional object lessons. As to what I learned from this Bible study, I learned two main things. The first is that many times my children’s misbehaviors started with me. Either I wasn’t being consistent enough in my discipline, or I was modeling improper behavior. After all, who am I to complain about my child’s unkind words when I hurled bits of unkindness easily off my tongue far too many times? How could I be offended at my children’s disobedience when I was often disobedient, complaining and disgruntled toward my heavenly Father in my own behavior? I found out how often I am a hypocrite, and I want to do better for myself and for my children. I also discovered that change takes time. As part of my follow up to this Bible study, I’ve begun really taking my words seriously and trying to speak words of life and not words of death, but some days are so hard. I fail so often, and because of my own failures, I’ve learned how to more completely extend grace towards my children. That has brought us closer and made my children behave “better” without me even trying any “new tricks” or “tips” for bending them to my will. I want my children to know that if they’re following my example, they are following Christ, and I think after doing this Bible study that I’ll be able to know that I’m pointing them more clearly towards Christ than I ever have before. I’m actually putting my physical copy of this Bible study on my bookshelf to study again this summer or in the fall, so that I’ll have it to restudy and to remember to recommend to other mothers who feel overwhelmed by parenting and could use, instead of just advice, to be pointed to the Bible for their parenting guidance. A lot is packed into this little book! This is a wonderful study that focuses on training your kids according to God's Word. Pam Forster does not tell you what you should do, but guides you to listen to what the Lord is speaking to you from His Word. However, this little resource doesn't stop there! It also teaches you methods to studying the Word on your own according to this in-depth method AND causes you to first consider your own heart and relationship with Jesus. I received three big benefits from this study: 1) I matured in my faith and walk with the Lord, 2) my kids and I have some word pictures and object lessons to help when situations arise (and yes, we remember some of them! ), and 3) I have tools for studying the Bible like this in the future for other topics/passages of Scripture. In years to come when I go through this study again I am sure there will be different aspects that are highlighted by the Holy Spirit for me to work with! ~ I received a free review copy of this book. All opinions expressed in this review are my own. I received this book for free review. I totally love it. My own opinion of this is five star. Very helpful parenting tips. I was able to participate in this study online and found that it truly blessed me and helped to "reset" my mind when it came to parenting. I had gotten stuck in a rut of frustration and relying on my own strength when it came to parenting and this study took me back to scripture and all of the truth that the LORD gives regarding parenting and families. It was also a great refresher in Bible and word study. Thank you for such a great tool!